Hey there!!! I’m back on the East Coast launching my new single “Don’t Make Me Wait”! We just finished up some awesome shows in Saint John, Moncton and Halifax – it’s been a blast! I’ve got one more big show coming up in Toronto and some news for you. It happened through pure serendipity when my friend Andrea Tan invited me over to her friend Perry’s place, to play an upright piano. Traveling on the road in Cali, it had been a long time since I touched a real piano. I followed my love for the instrument and this song came into fruition. Sometimes as a songwriter, we can force songs but it is usually the ones that come naturally, that are the best. Serendipity is definitely one word that sums up this song about being ready for love. This music video was filmed in Venice Beach, California after I played at Muscle Beach with my killer band Toshi Yanagi, Jimmy Earl (Jimmy Kimmel Live! Show) and Max MacVeety. It was filmed and edited by Andrew Kraus who is an up-and-coming badass videographer in Los Angeles! APYLL AILEEN – TONIGHT AT THE BAKED POTATO JAZZ CLUB! 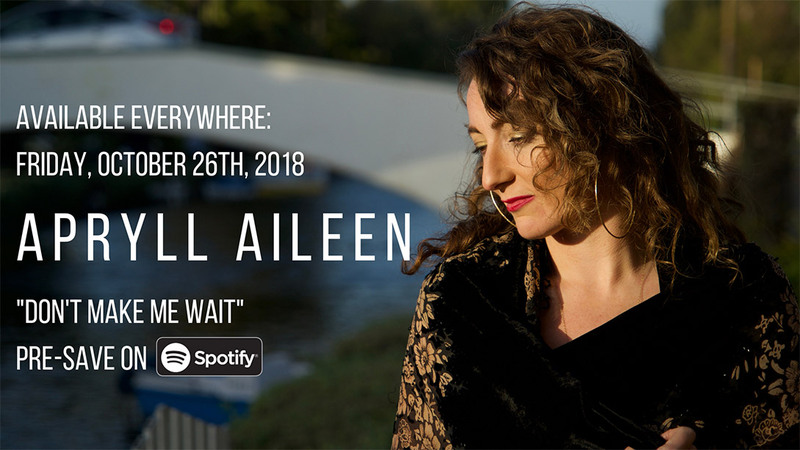 APRYLL AILEEN – Live from the Horseshoe Tavern!